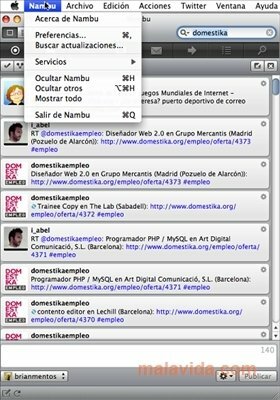 Nambu is an interesting client for Twitter, developed specially for Mac, so that you can share your ideas and experiences by means of this popular social network, in a simple and comfortable way. Nambu has a very appealing interface, by means of which you will be able to input your commentaries, see the tweets of the people you follow and those that you want to follow, in a very ordered way so that you don't miss anything. 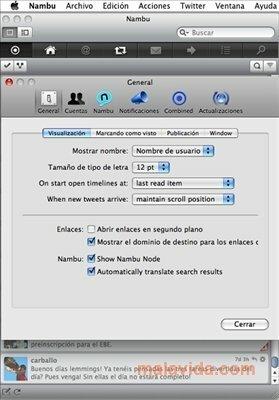 By means of Nambu you will be able to carry out any activity that you can do in Twitter: update your status, private messages, perform searches, or follow messages by words. 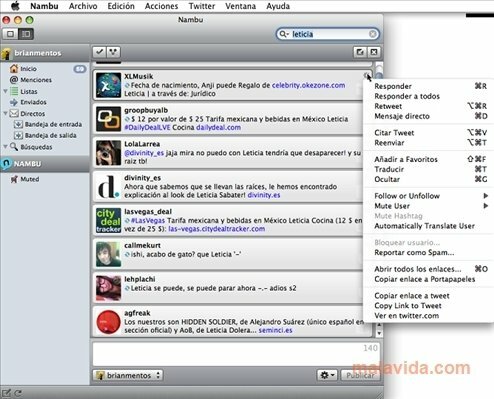 It also has various views so that you can choose the one that is most comfortable for you, and what's more, it allows to shorten the URLs that you want to add to your messages. 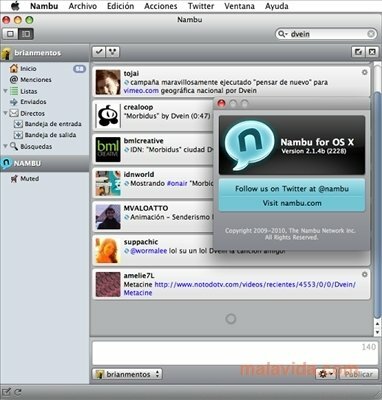 If you are addict to Twitter and a Mac user, Nambu is one of the best applications to speak with all your friends. With its intuitive interface you won't have any problems to recognize all its functions, and enjoy all the services of that social network.